Himachal Pradesh, a land of god with so many enthralling and challenging treks. It is famous for its hill stations, temples and natural beauty. Himalayan landscapes with its diverse and beautiful mountainous state attract tourists from all over the world. The state is also popular for its adventure activities like ice skating, rafting, skiing, paragliding, rafting, boating and trekking, horse riding and fishing in different parts in the state. It is a multireligional, multilingual as well as multicultural state like other Indian states. ‘Bhrigu Lake’ is one of the most beautiful lakes in all enchanting alpine glacial lakes in Himachal Pradesh. The trek is an out and out grassland trek. Starting from Gulaba base camp reached into the meadows within ten minutes – which is fabulous. Considering Gulaba is just an hour’s driving from Manali it makes accessing Bhrigu Lake meadows very easy. Bias Kund is a beautiful high altitude alpine trek in Himachal Pradesh. From Solang Nallah, the route winds through the famous Solang Valley which is famous for its Para gliding & ski slopes. Amazing views of lush green meadows, glaciers and snow-capped mountain peaks can be seen on this trek. This is an enjoyable trek and it is recommended for both beginners as well as experienced. ‘Bijli Mahadev Trek’ is also a fascinating and famous trek in Himachal Pradesh. It allures avid trekkers and pilgrims for getting the Darshan of Lord Shiva in the form of Shivlinga. In this temple of lightning, it is said that the tall staff attracts the divine blessings in the form of lightning. Churdhar is the highest peak of outside Himalayan range at a modest elevation of just under 12,000 feet. It is snow covered in winter and is visible from Shimla. The Churdhar peak is one of the most sacred places for the local resident of not only the Shilai and Rajgarh tehsils but of the neighboring Chaupal (Shimal distt ). Kareri Lake is a high altitude, shallow and fresh water lake. It remains frozen from early December to March–April. In night camping under the twinkling stars a beautiful mind relieving environment is created. Get on with a trekking adventure from Ghera village which is nearly 20 km. from Dharamshala to reach this lake. 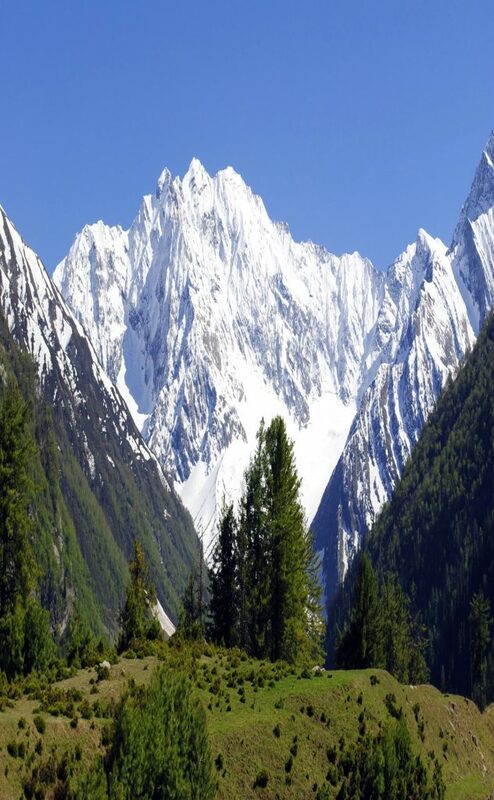 Trekking in Tosh Valley will take you through fascinating meadows and streams leaving you breathless. It is a feeder valley of the famous Parvati Valley which leads to the Pin Parvati Pass. The Tosh Nallah meets the Parbati river at Pulga coming from the North.